This project is located in an old rectory, a listed building grade II, and therefore subject to various design constraints. 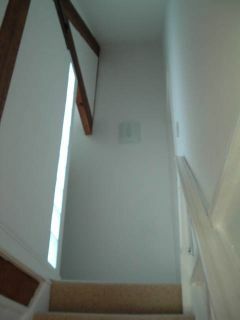 An existing loft is refurbished to provide new bedrooms and a shower room. Part of the refurbishment consisted in removing a very low ceiling, fixed to the underside of existing rafters, supported by hidden trusses. 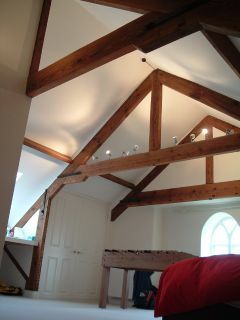 Removing the ceiling and exposing the trusses had a positive impact in the interior. Visually, the exposed trusses deepens the space and makes it roomier and varied. 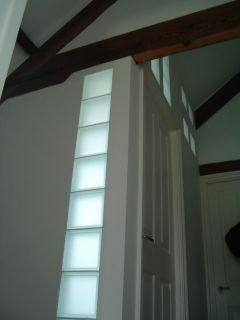 Inner corridors are flooded with natural light, sourced from new rooflights and filtered through semi-glazed walls.